First "race" of the season and all that. Seeing that picture, I find it hard to believe that little Max' task tomorrow will be to do the final leadout for Walscheid. 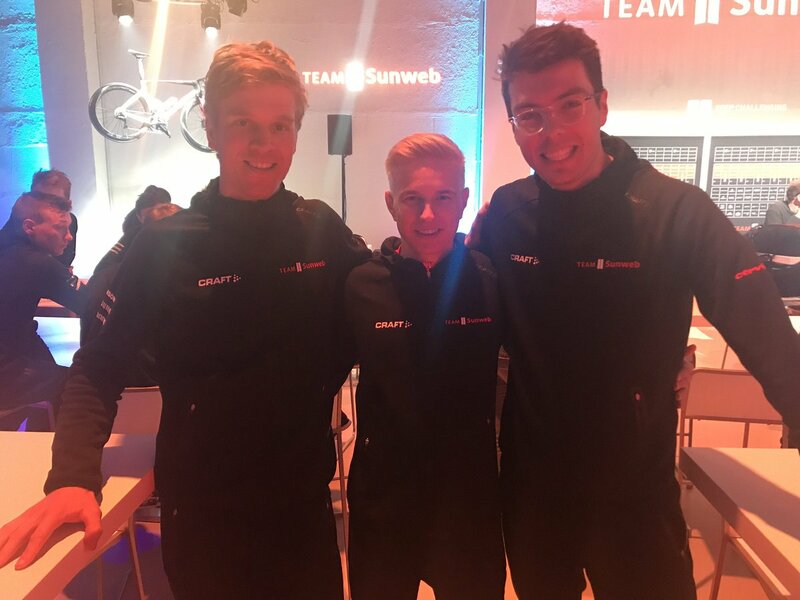 And usually Sunweb isn't to keen on giving youngsters a free role early either. sure, but if Kanter is only second to last in the line, he should finish 50+ anyway. looks like both bets were decided by Morkov in the end. Took down Viviani and Sajnok in the final corner, while the Sunweb bus was so far in the back that they could avoid the crash. All with Bet365 (who also have MSR, RVV and PR markets out). I'll steal the reasoning for the final bet. RVV now a Monday race with 365, someone is fooling about. let's see how it goes tomorrow. eh last minute Haller @ 101, he won a bay crit a couple of weeks ago I think... conditions may hurt people. 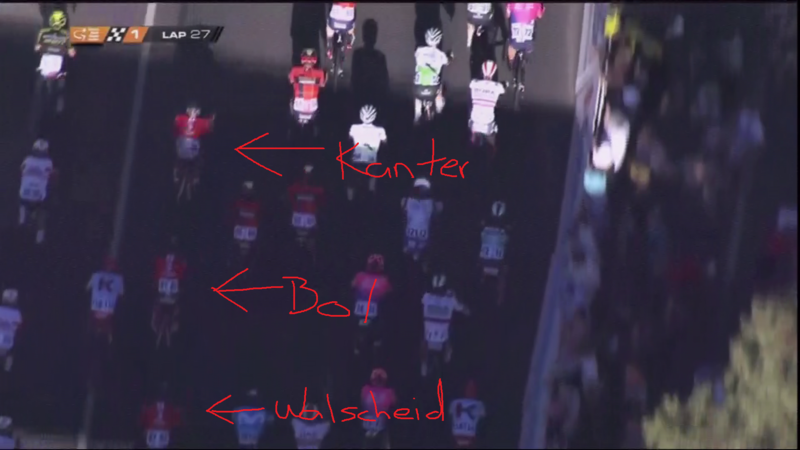 Not really sure what Katusha were doing, very well organised in their disorganisation, it wasn't Haller they were working for anyway from what I could tell. Shame I can't multi it with Ronde @ 401 for the double. Could really just take your pick out of Impey, Ulissi, Haas etc for this one. I think unlike Stirling though this will be less about positioning and timing and more about following genuine attacks on the last circuit. Rekt, I have a bad habit of forgetting TDU stages are raced for 5km max. if the Jumbo train (as usual) hits the front early again, Danny can easily be doomed getting into the headwind first. And his flat sprints aren't really anything special anyway. 20km too early, good get. yeah, looks like they didn't get the memo. The final 2k of action are stressful enough for Phil and Jens to commentate on. There's not a particularly big margin for a (non cobbled) race to be hard enough - but not too hard - for Rowe to compete for a podium spot, but these odds seem to be a bit long for someone who finished 4th and 5th already. It's only after making the bets that I see that Laporte was ill at Algarve. Doh! There is one obvious team without a sprinter tomorrow and that is Deceuninck. No point in them dragging Groenewegen, Ackermann et al to the line. The profile of the final 50km isn't too conducive for reducing the peloton down, but some strong winds are forecast. Other teams like AG2R (or individuals like Terpstra, Roelandts etc) could be interested as well in doing some damage, so that's why I'm not ruling out a non-sprinter like Langeveld. Ackermann crashed pretty hard yesterday and was uncertain to start today, so that may even be one team less to do the work in the peloton. Drucker @51 is not a bad choice I think. Hard to drop, and there aren't that many who can beat him in a sprint. Van Asbroeck @201 looks ok'ish as well. Thomas has been playing down his chances. Felline missed the opening weekend for being sick though, and only came in here as a late replacement for Brambilla. I'd keep the fingers of that one, but I also like the other two. Just in case they decide to go with him ahead of Trentin. Of course the wind could blow it all to pieces. I smell a win for the break. Won a stage last year of course. Ah well neither ended up figuring.